Over the past weeks, we informed about «Islands of Cats» the upcoming photo-story book highlighting the work of those individuals in the Maltese Islands, who look after stray and abandoned cats. 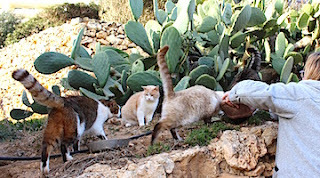 Since September 2015, we have conducted dozens of interviews with men and women involved in the stray cats cause, and researched also beyond the Maltese borders. 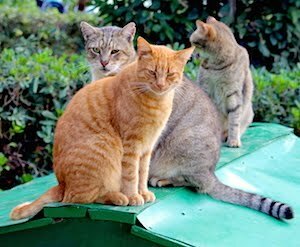 Feral cats are a growing issue in several countries. Originally from the Middle East, cats have no natural enemies in most regions of the World, where they were brought to catch mice while they also became our favourite pets. But felines are a potent species, starting to reproduce as early as four months of age with two litters per year per female. Un-neutered domestic cats released to the open, for whatever reason, will be no exception to reproduction. With «Islands of Cats» we also want to create more awareness for cat control by talking about twenty stray cat carers representing the important work of over one thousand volunteers in our nation. Help us to help the stray cat carers. A small contribution to our crowdfunding campaign on Kickstarter helps to reach our funding goal to cover costs for translations and printing. The campaign will end on March 10, 2016, by noon. Pledge an amount today while your credit card will only be charged if the campaign was successful. Alternatively, your contribution via Bank Transfer or PayPal is also welcome, at any time. And, for every book sold, Euro 1 will be returned to the carer community in Malta for food, vet visits, etc. Please spread our call for funding by forwarding this email to your friends and colleagues, and like and follow us in the social media. Thank you so much for your time and consideration, and stay tuned for more.